Our clinic is proud to have provided Quality Confidential Care to the families of Brisbane since 2003. Dr Sargeant aims to give young people the skills they need to meet their individual potential. Free-onsite parking in a non-threatening family-friendly environment. 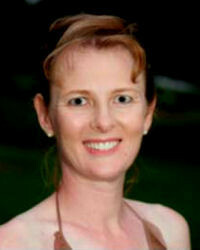 Dr Joanne Sargeant works with children, adolescents and families in Brisbane. Her passion is the long-term outcome for a young person. Her training is in medicine, and adult and child psychiatry. Treatment may include goal setting, activity scheduling, anger management, assertiveness training, and communication skills. Medication use is kept to a minimum. Dr Sargeant sees her role as providing up-to-date information, with the final decision belonging to the parents and young person. Career planning strategies for adolescents. We are proud of the fact that most of the clinic's referrals are by word of mouth. We like to hear how we are doing - Service evaluation questionnaires are available for patients. Dr Sargeant teaches medical students, and provides peer supervision. Dr Sargeant has worked in psychiatry for over 15 years. She trained in Brisbane at the Royal Brisbane, Mater & P.A. Hospitals and Community Clinics. She is also author of "Social & Emotional Wellbeing for teenage girls" - and a mother of 3. Free on-site parking is provided; the clinic is near the Ipswich Rd exit of the Clem 7 (via Officeworks). The Park Rd train station & Boggo Rd busway stations are also nearby. To access Medicare rebates, please ask your General Practitioner to write a short letter of referral, listing the names of both parents as well as your young person. Our clinic is proud to have provided Quality Confidential Care to the families of Brisbane since 2003. Dr Sargeant aims to give young people the skills they need to meet their individual potential.